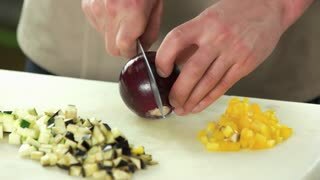 Hands cutting purple onion. 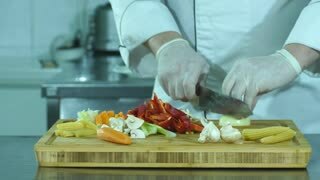 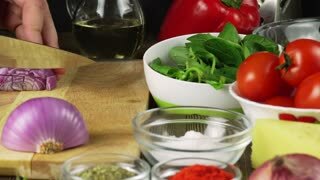 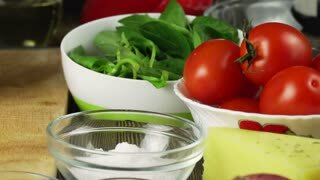 Cooking, fresh vegetables. 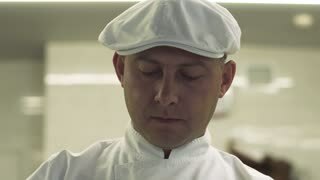 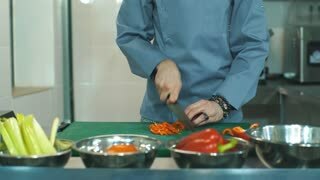 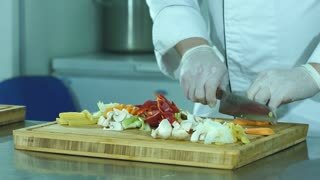 Chef cutting zucchini. 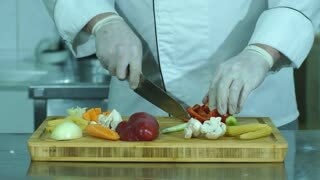 Fresh vegetable on cooking board.